Smirnoff Spiked Sparkling Seltzers are a delicious blend of crisp, refreshing taste and bubbly carbonation. 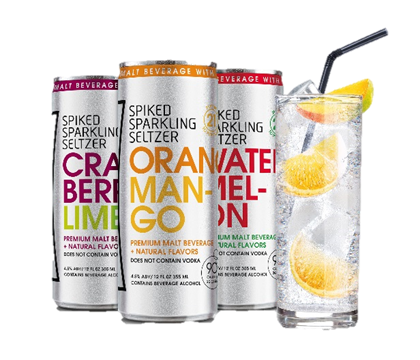 Available in Berry Lemonade, Watermelon, Cranberry Lime, Orange Mango and Rose flavors, these spiked seltzers are infused with natural fruit essence, purified water and no added sugar or sweeteners for a sophisticated adult beverage with only 90 calories per 12 oz. can.